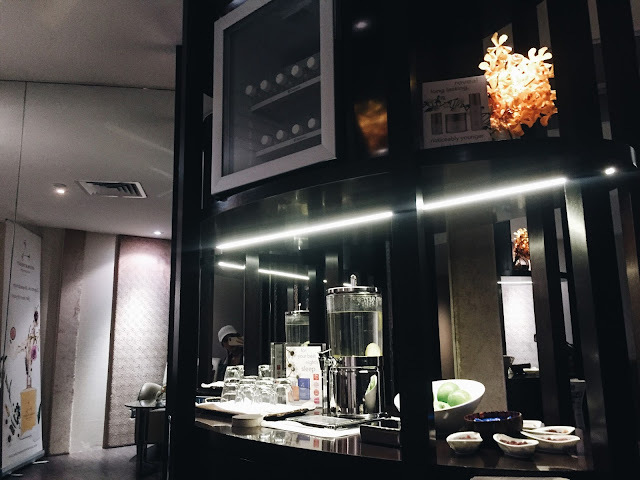 I dropped by The Fullerton Spa the other day for some 'me' time and I gotta say, it was the best decision of my week. It's been pretty crazy since I was preparing for my Fiji trip so I had back to back activities, meetings and shoots almost everyday.. So I scheduled a spa day a day before I was intending to fly. Although the trip to Fiji was postponed due to bad weather (Sending all the best thoughts and prayers to those over there now, it must be so tough! ), I was still really grateful for the 2 hours I spent here. It was exactly what I needed! 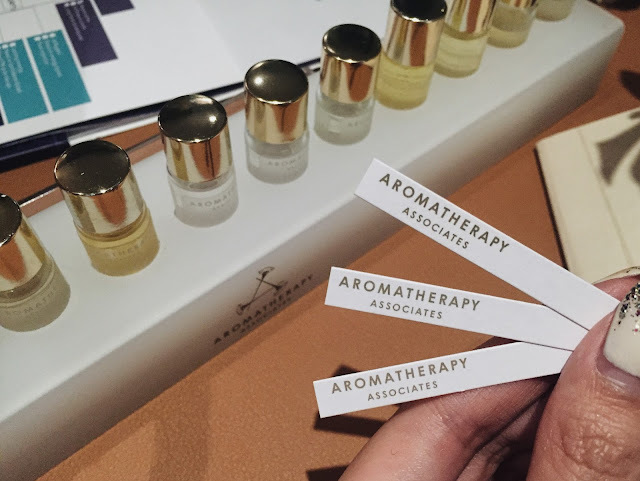 "Founded in 1985, British brand Aromatherapy Associates hand-blends the finest natural ingredients, combining the therapeutic benefits of pure essential oils with the latest technology to deliver incredible results for physical, mental and emotional well-being. 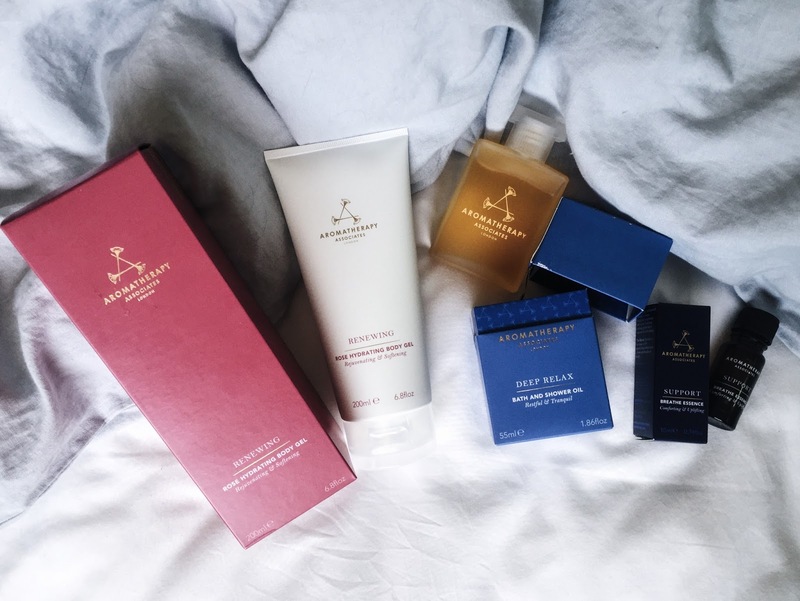 The brand now offers a range of over 100 products addressing specific needs and skin types and encompasses skincare, body care, home & ambience, travel and gifting products as well as a specific skincare range for men." I was so excited to try out these oils that have been well loved for years, and to see which one I'd be using that day. 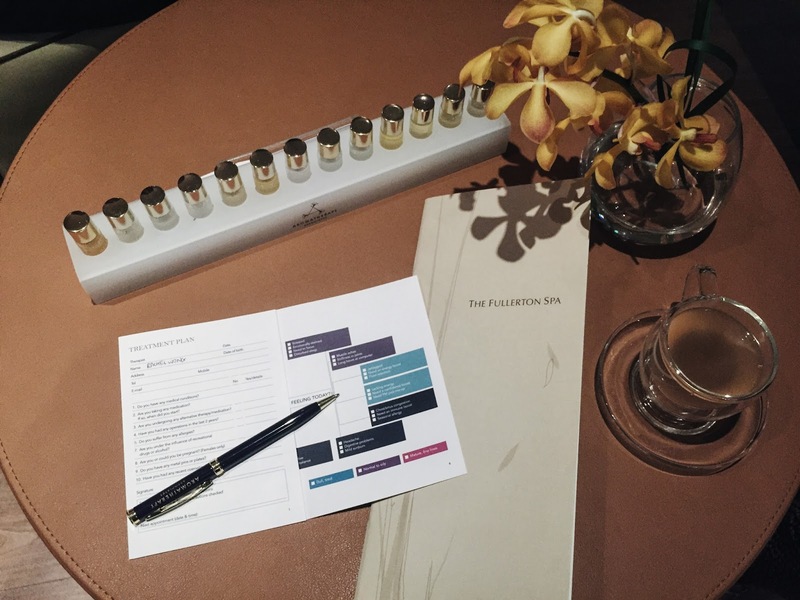 So I took a little questionnaire just so Lynsey, The Regional Manager, could see which oil would be suitable for me..
She then narrowed it down to three different blends, and asked me to sniff them to see which one I liked best. She said "Your body knows you best, so just let your nose decide what you need." When my therapist Pamela shook my hand, I knew I was in good hands. It may be a little weird for me to describe her hands like this, but they were so meaty and her handshake was firm. Strong but soft hands are the best for a massage! 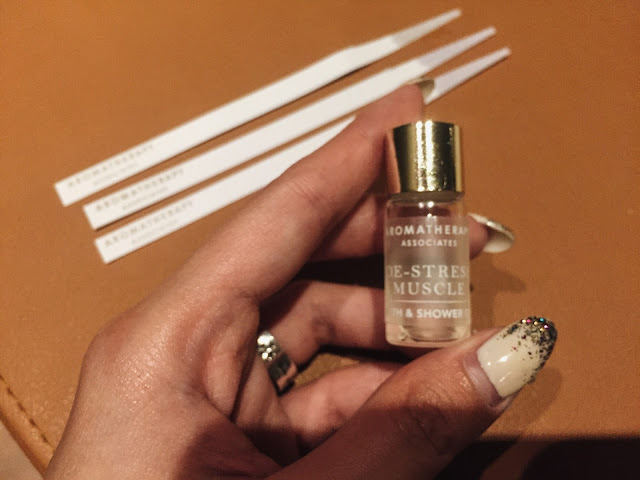 It was a really different massage from the usual ones I go to, because I almost NEVER opt for oil massages. I always hate the sticky feeling I'm left with and I would rather they do pressure point massages for me. I can honestly say that the oils used on me from AA were not sticky, smelled incredible and I really went into a completely zoned out mode when I was getting my massage. I tried not to sleep so I could enjoy it, but I fell asleep before I knew it. Also.. my stomach was grumbling so bad during the massage coz I didn't have time to eat before (kinda embarrassing, actually..) that and it felt like an angel gave these to me after the massage.. So yummy, too! 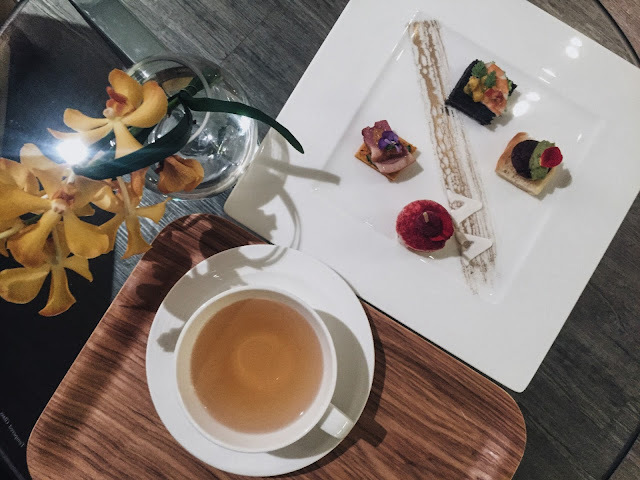 10 stars for hospitality, Fullerton Spa. Such a happy goober after my massage, I went on to my next 3 meetings rejuvenated and super relaxed... With only good memories to keep when I recall the scents I breathed in during the entire session. You know how you remember certain situations/moments when you hear a song? It's kind of the same with scent, too! 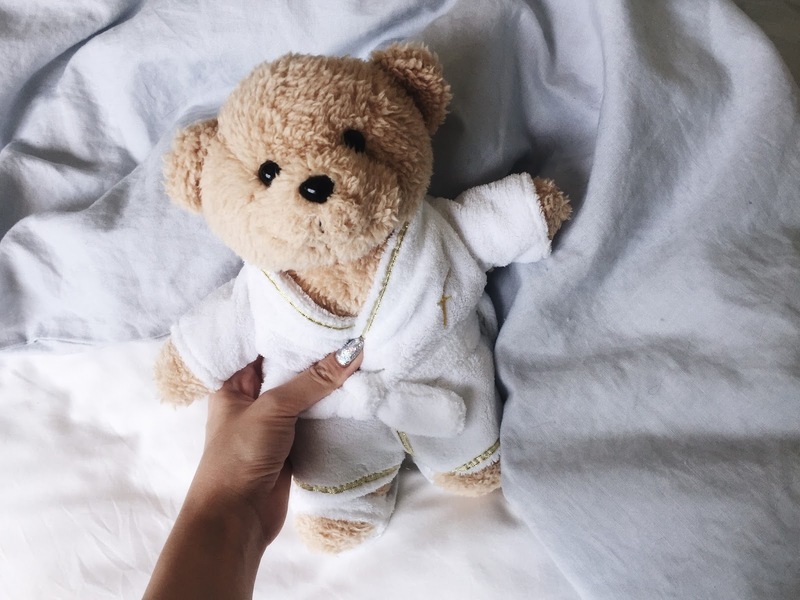 The cutest little spa bear for keepsake, and he was exactly dressed like me, in bathrobe and slippers! My take home products have been well used since I brought them home! The Renewing Rose Hydrating Body Gel is the perfect non-sticky moisturizer for our humid weather, the Deep Relax Bath and Shower Gel really has helped me to calm down before bedtime, and the Support Breathe Essence is the perfect pick me up before I start my day.